Electronic Signature Catering Contracts give you and your team the power to go from proposal to profit quickly. Sales friction is eliminated as you can create and use an unlimited number of catering contracts to be sent solo or as part of your proposals. 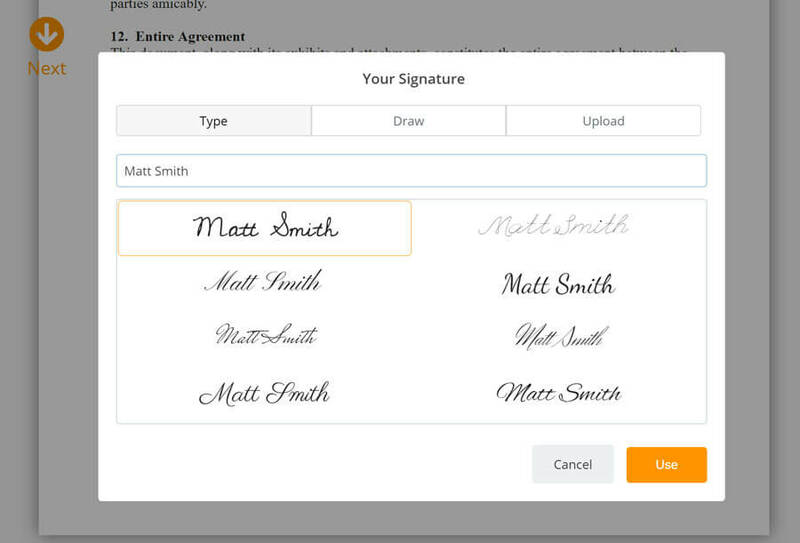 Clients love the speed and ease of signing from their desktops or mobile devices. In a few mouse clicks, fully-customized catering contracts are ready to send, incorporating our library of merged fields. We even give you a “Number of Days Prior” and “Number of Months Prior” field to automatically calculate important dates like deposit schedules and final guest counts. With our WYSIWYG editor, you can create an unlimited number of catering contract templates. No more time wasted creating and customizing contracts. You’ll gain more selling time. Catering clients will be quick to complete your catering contracts as they can be executed via their desktop or mobile device quickly, eliminating printing, signing, scanning and emailing. You can sign your catering contracts with a few mouse clicks, and you and your client get a two-party, fully-executed catering contract. A copy of the signed contract is stored under the catering client’s CRM record for easy access and review. A full audit trail is included. 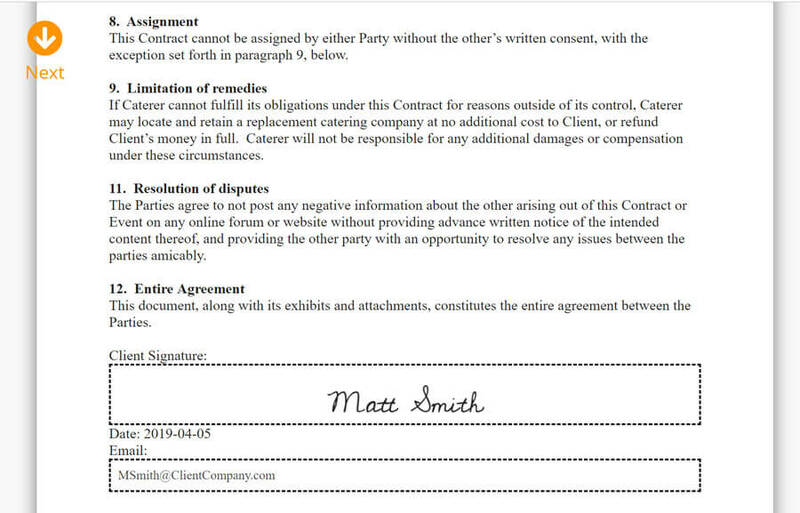 You can even re-send contracts that haven’t been signed. Other catering software companies require you to subscribe to third-party services, pay integration fees and force you out of their application and into others to manage your catering contracts. Not with CaterZen! It’s time to keep your entire catering contract management system fully integrated into your catering software. 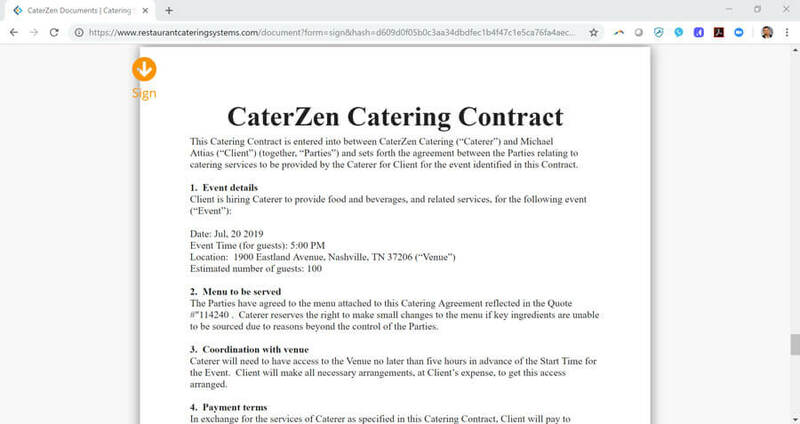 CaterZen eliminates work and streamlines your catering business. Turn Catering Contracts Into Catering Profits!